Customer safety and privacy are of utmost importance to iBase. That’s why we’ve made all the necessary changes in compliance with the new GDPR (General Data Protection Regulation) legislation. As a digital asset management (DAM) provider, we understand the importance of securely storing files and private information. With that in mind, we are of course fully open and transparent about what customer information we store, and how long it’s kept on our systems. We’ve published our complete data processing agreement (DPA), detailing all privacy and security aspects of our company. Check out the full document for a full list of information about iBase and GDPR – or read on as we give a brief overview of the changes. First things first, what is GDPR? GDPR is the EU’s new legislation that protects personal data and information. Specifically, it dictates how countries operating in the EU can collect and hold their customers’ data. Any organisation based in - or that trades in - the EU must now update their data security to suit the GDPR or face a hefty fine. You may be wondering where these changes leave you. When putting your trust in, and submitting your data to, a company, you want to know that your information is going to be well looked after. Especially when entering personal information onto a site, it’s important to know where that information is being used and stored. Our DPA outlines exactly what information is stored, where we keep it, and how long it is kept for. If, at any stage, you want to clear your data off our systems, we will wipe digital data or shred hard copies within 5 days of your request. As an iBase customer, you have full ownership and responsibility for all your data and digital assets on our systems. We have a non-disclosure procedure in place, to stop your information getting into the wrong hands. No personal data is ever shared with anyone, except our own employees on a need to know basis, without explicit written authority from the customer themselves. We don’t use any laptops or portable devices containing personal information, apart from a backup drive, which is kept at a secret location, offsite. All of iBase’s DAM systems are hosted within the Amazon AWS cloud service. Take a look at their website for more information about Amazon’s AWS GDPR compliance. 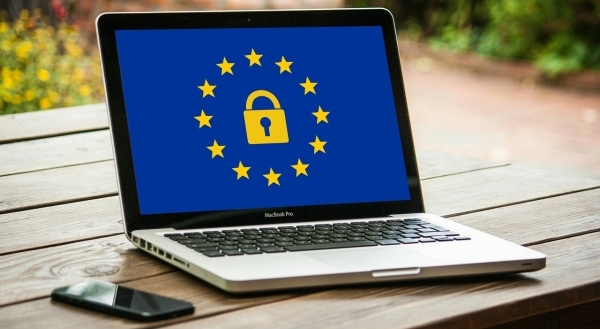 GDPR has landed, and it’s here to stay. Our policies are not only in place to comply with regulations, but to ensure your privacy and safety when using our software. Rest assured, we are constantly reviewing, updating and improving our systems to provide the best data protection. Still unsure about any of the changes? Be sure to get in touch with our friendly team to find out more. Give us a call on +44 1943 603636 or submit a query via our Contact Us form. DAM vs CMS - what is the difference?